Patterning is one of the best music apps that you can find on the iPads of top music performers. It definitely feels and looks like a modern 21st century drum machine. 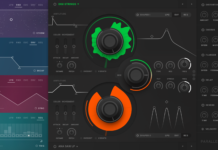 Patterning 2 is the next generation of the award winning circular drum machine. 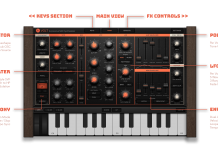 Create beats like never before in a fun, intuitive interface that is both easy to use and deep with features for the experienced producer. Make dynamic beats with the swipe of a finger. Quickly record patterns and parameter movements. Use Patterning’s independent loop settings to explore rhythmic possibilities impossible to achieve in traditional sequencers. 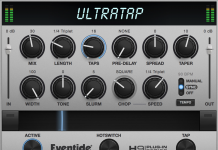 Automate and randomize parameters to create intricate & complex beats. Arrange patterns on the timeline to construct songs. Use the built-in effects to add atmosphere, shimmer and noise. Export patterns directly to Ableton Live or connect to other instruments with MIDI. Download hundreds of free factory and user-created drum kits for use in your own songs.